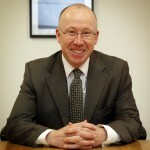 Formerly Permanent Secretary to the Scottish Government from 2003 to 2010. Currently a Carnegie Fellow for the Carnegie UK Trust, an Associate of the Institute for Government, an Associate of the Centre for Leadership and Public Policy at Oxford University and Chair of the Scottish Cities Knowledge Centre. Also Chairman of Edinburgh Airport Limited and a member of Boards of Edinburgh International Festival and Scottish Opera. Member of the Court of the University of St Andrews and trustee of Bond for Hope and IF charities. Current position: Clerk and Chief Executive of the Scottish Parliament. Leads the Scottish Parliamentary Service which is responsible for delivering all services to the Parliament and its Members. The Parliament employs around 450 staff and has an annual budget of around £75m. Previous career history: Graduated in 1984 from Stirling University. Joined the Civil Service through the “Fast Stream” in 1985. Worked for the Department of Transport and, subsequently, the Department of the Environment on Bus De-regulation, Railways Policy and Local Government Finance. Subsequently Private Secretary to Virginia Bottomley MP. Joined the Scottish Office in 1992 working on Housing and Urban Regeneration Policy, then headed up the Management of Change Unit. Joined the Constitution Group in May 1997 with responsibility for the Referendum on establishing the Scottish Parliament: subsequently managed the Scotland Act which laid the new constitutional framework. Appointed Director of Implementation for the Scottish Parliament in 1999 – set up parliamentary organisation and associated support systems. Appointed Clerk and Chief Executive of the Parliament in summer 1999. Appointed a member of the University Court at Stirling in 2006 and chair of the Finance and Research Committee from 2008-2012. Secretary to Scotland’s Futures Forum, Hon Fellow RIAS. 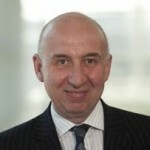 Appointed to Economic and Social Research Council (ESRC) in 2009 (chair of Audit Committee since 2010), and appointed to the Bank of Scotland Foundation in 2011. Professor Carol Tannahill is Director of the Glasgow Centre for Population Health, a research and development centre which was established in 2004 to generate insights and evidence, propose new ways forward, and provide leadership for action to improve health and tackle inequality. She has over twenty years’ experience of contributing to public health policy and strategy developments in international, national and local contexts. Throughout her career, Carol has placed a high priority on strengthening the research base to inform public health policy and on building the connections between research, policy and practice. Carol is a graduate of the Universities of Oxford (BA in Human Sciences, 1984) and Glasgow (MPH, 1985 and PhD in Public Health, 1989), and previously held the posts of Director of Health Promotion at Greater Glasgow Health Board, and Senior Adviser in Health Development in the Public Health Institute of Scotland. She is a Fellow of the Faculty of Public Health and Honorary Professor with the University of Glasgow and Glasgow Caledonian University.